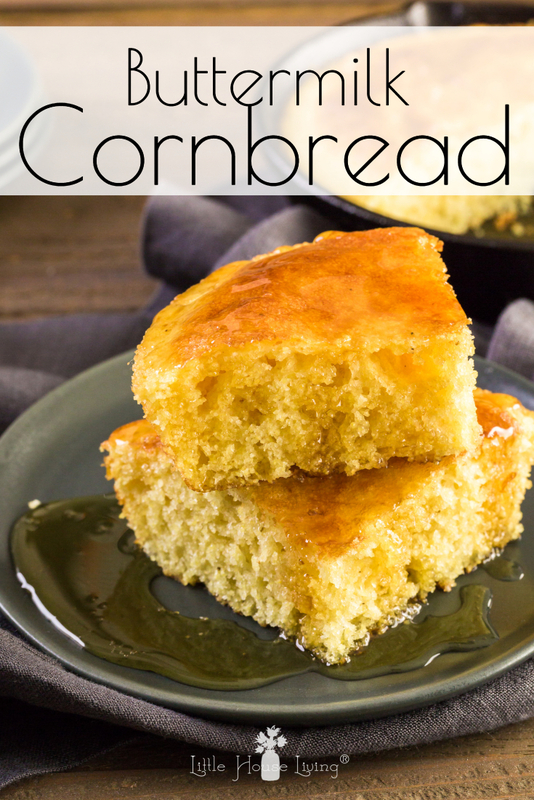 Looking for a great basic recipe for Cornbread that will be perfect to go with supper tonight? 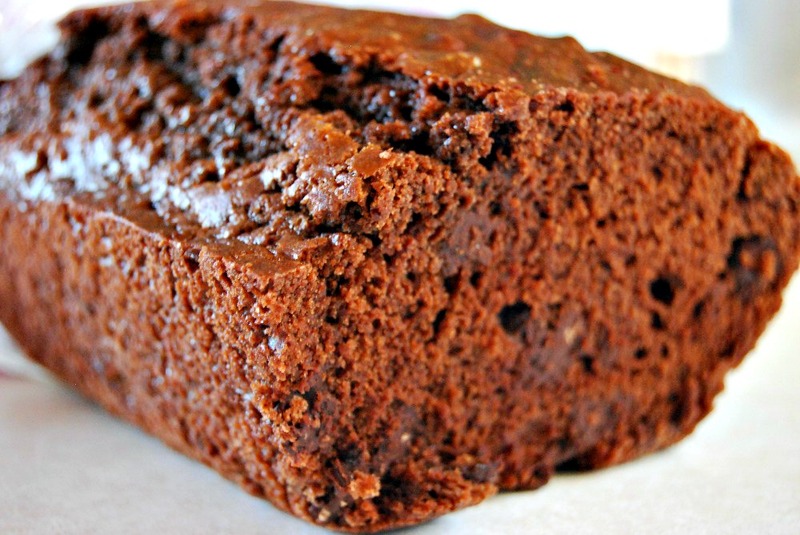 Here’s the one we love to make that has only a few ingredients and a wonderful flavor! We’d been wanting a simple recipe for cornbread when I created this recipe. It’s so nice to have something so uncomplicated! AND my husband loved it! You can substitute buttermilk for the whey if you don’t have any. I was just looking for a way to use up my whey from cheesemaking the other day! Mix the dry ingredients and the wet ingredients together separately. Then still together but don’t over mix. Pour together in a greased 8″x8″ pan. Bake at 425F for 20-25 minutes or until it looks done. Need to print this recipe for Cornbread. Hit the print button below! Mix the dry ingredients and the wet ingredients together separately. Then still together but don't over mix. Pour together in a greased 8"x8" pan. Bake at 425F for 20-25 minutes or until it looks done. How often do you make cornbread? 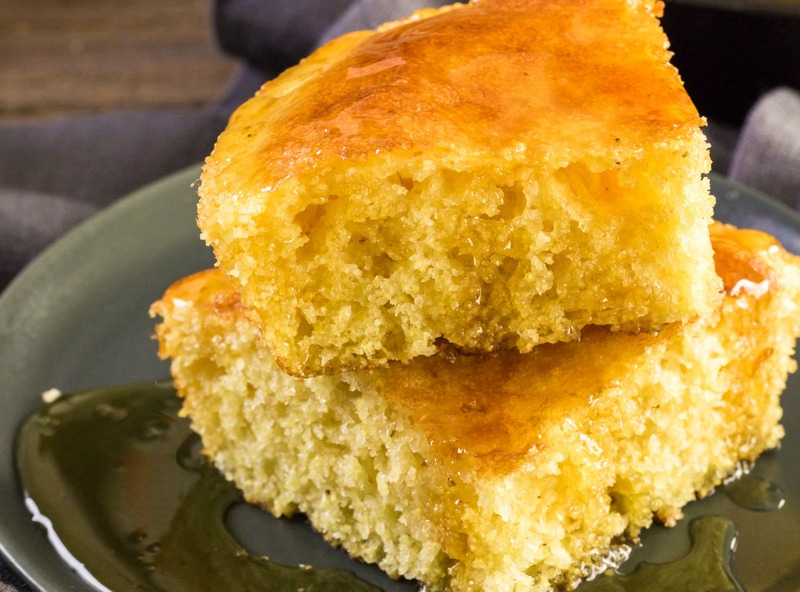 Do you think your family would enjoy this recipe for Cornbread? 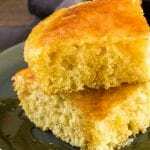 This recipe for Cornbread was originally published on Little House Living in September 2010. It has been updated as of January 2019.
should the butter be melted, room temperature, or straight from the fridge? I usually soften it for this recipe. Wow… I sure did miss the sugar. This was an unremarkable recipe.